Welcome Baby Amelia to the blog! I’m back to catching up on blog posts and decided to work backwards from the end of the year, to where we stopped at the beginning of busy season. Also my website has gone through several “behind the scenes” updates since I last blogged, and I’m not quire sure how to use the new software, so please give me some grace if everything is crooked and not formatted correctly. 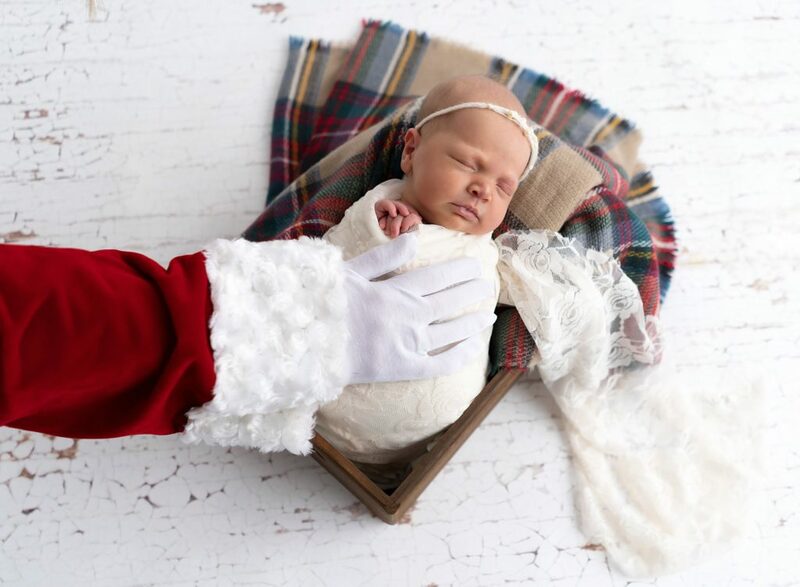 Amelia visited top Columbus newborn photographer, Lynn Leitch, in Hilliard, Oh to have her newborn portraits taken. Big brother and mom and dad all joined us for the session. And she was a dream baby! We had so much fun and were able to complete so many setups! Thank you sweet Amelia for being such a good baby for us! Check out some of our favorites from her session! 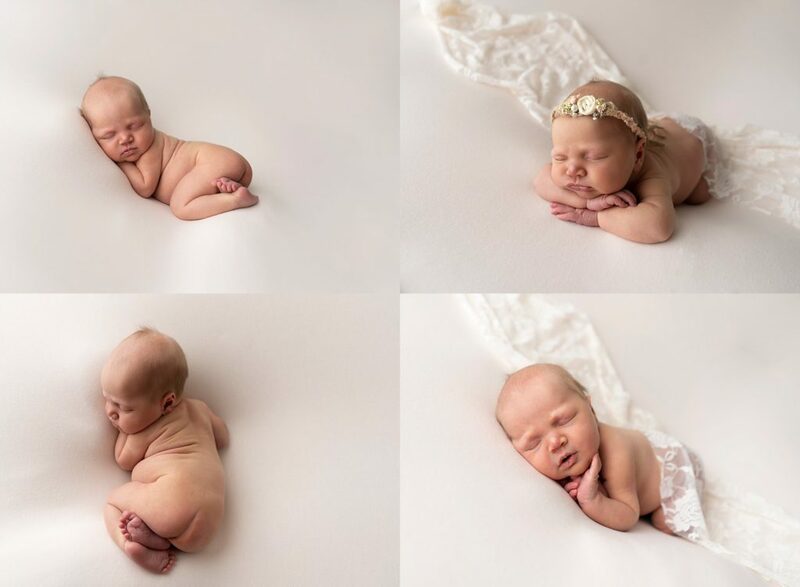 We have to start with this one first … Ms. Amelia had already had a few bowel movements at the start of her session – so we thought “we should be good! Let’s do parent images naked” … yep. She got us good! This was just the beginning of her mission to poop on everyone in the studio! But sweet Amelia on this blush pink is just PERFECTION! 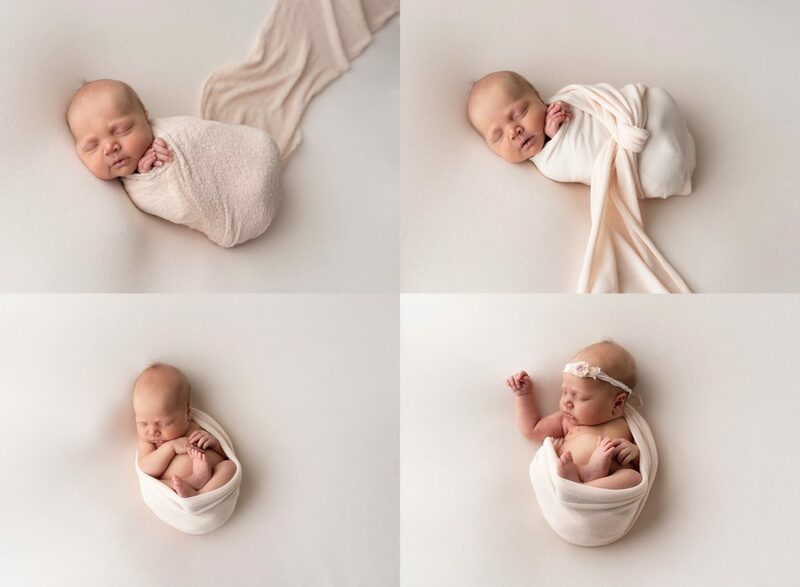 You’ll be seeing more of these types of collages in my work moving forward as I am following my heart and sticking to a very simple newborn photography feel to my portraits. Solid colors, soft light, with the focus just on the baby. She let us get her naked!